Your goal is to match the numbers on the second half with the first half. This workout is NOT for time. Rest as needed between events go for broke when it’s on. The entire workout must be completed within thirty minutes. 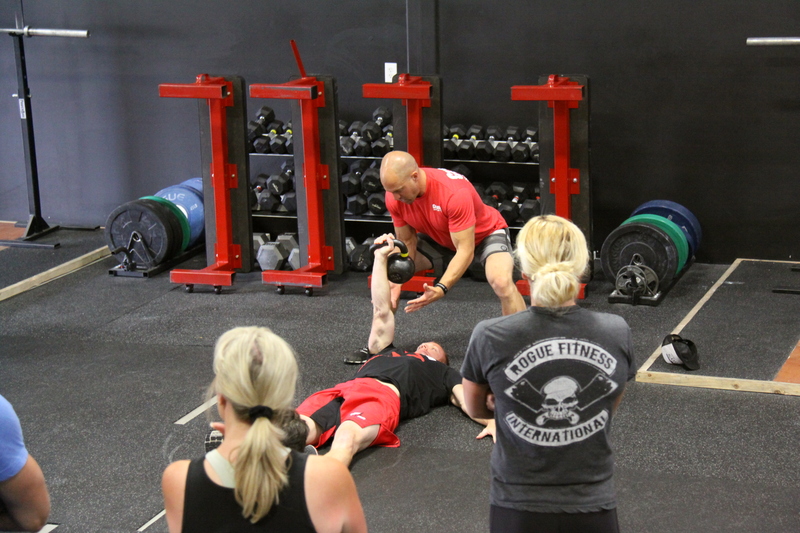 Greg Amundson spots Dan Milke of CrossFit RC at the CrossFit Kettlebell Trainer Course.